The proposed legislation would eliminate the possibility of arrest and jail time for simple possession of marijuana in Illinois. Under the proposed law, an individual possessing not more than 10 grams (approximately one-third ounce) of marijuana would be charged with a civil, not a criminal, law violation punishable by a fine, like a traffic ticket, of no more than $200. In 2010, there were over 49,000 arrests for marijuana possession in Illinois. Offenders face criminal prosecution even for low levels. Over 100 Illinois cities and towns, including Chicago, have already enacted local ordinances calling for civil sanctions comparable to a traffic ticket. This patchwork of ordinances and laws has led to uneven enforcement across the state. Despite these local actions, under current state law, police can continue to issue arrests leading to a criminal record. Current Expenditures Could Be Directed to More Urgent Enforcement Priorities. Local jail and county correctional facilities in Illinois spend more than $20 million annually housing individuals for marijuana possession charges. In 2010, Illinois spent over $126 million on police, judicial and legal costs associated with marijuana possession. Enforcement of current law is highly discriminatory. In Illinois, African Americans are 7.56 times more likely to be arrested for marijuana possession than whites, even though use is the same across racial groups. Illinois ranks 2nd in the U.S. in arrests of African Americans for marijuana possession. Illinois has the 4th highest racial disparity rates between African Americans and whites for marijuana possession arrests in the nation. Current law imposes “collateral consequences” which can follow individuals for life. A criminal record, — and in many cases even a record of arrest – may seriously undermine an individual’s access to employment, education, public assistance, and housing. The Chicago Housing Authority, which provides housing to over 50,000 families, refuses to consider anyone who has even been arrested for the most minor marijuana offense for 5 years. Felony convictions lead to ineligibility for public assistance (TANF) for two years. Significant drug felonies lead to permanent ineligibility for food stamps. A marijuana arrest can lead to deportation. 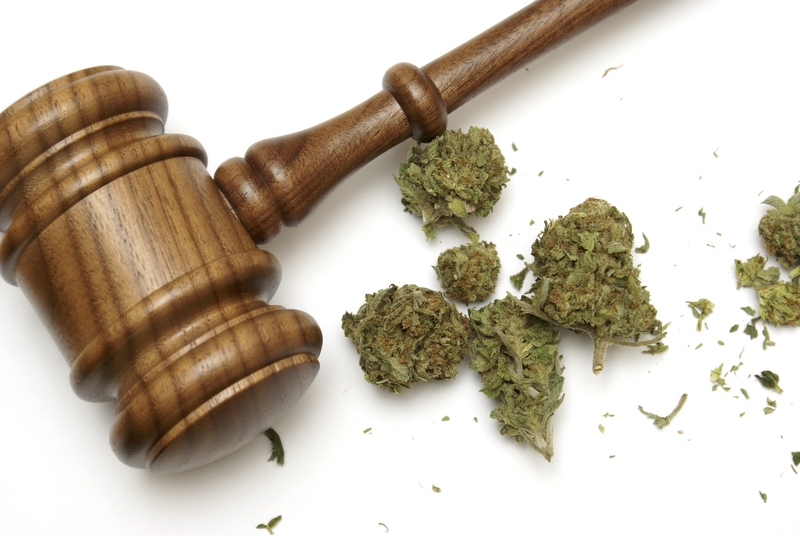 Charges for low level marijuana possession are frequently dismissed, but not until individuals have been detained and been saddled with an arrest for a criminal offense that may follow them for life. The average length of detention in Cook County jail for low level drug offenses is approximately 25 days. Approximately one-half of these cases are eventually dismissed prior to a hearing. In Chicago, despite a local ordinance allowing law enforcement to avoid arresting suspects and issue a fine only, 93% of cannabis violations in Chicago resulted in arrests and criminal prosecutions under state law; only 7% of suspects were ticketed.